Travelscoot mobility scooter is lightweight, fun to ride and it has given me freedom and independence. The Travelscoot mobility scooter has a range of about 8 miles and a top speed of 4 mph and it is an innovative design. It weighs about 18 Kg, turns on a sixpence and it is very easily to fold up. When folded up it is the size of a large golf bag. It fits into the boot of almost any car. It is fun to ride and you do not feel disabled. An airline sized cabin case can be carried very easily. Also there is a very convenient canvas caddy that fits into the ‘A’ frame and is very convenient when out shopping. What is there not to like about it? Oh yes it is made of strong aluminium and it is very good value for money. Until the summer of 2010 I had never heard of a Travelscoot. I happened to see one in Chichester and had a long chat with the gentleman who owned it. When I got back home I looked it up on the Internet and wanted to find out more. After trying one out and doing some homework I decided to buy one. I suffer from multiple sclerosis (thats me in the video) and as a result I cannot walk more than a few hundred metres and that has to be on the flat. Also I’m not allowed to drive because of poor peripheral vision. The Travelscoot has turned out to be an extremely good buy. When I go to London I take it on the train and once in London I can ride it from Euston Station to the City or West End. I can easily take it on London buses. It can fit in a London taxicab without folding it up. For a time I was working in the Channel Isles. At the airport I would check-in my baggage, ride my Travelscoot to the aeroplane, fold it up and give it to the baggage handlers. At the destination it is unloaded nowI can ride it from the plane and pick up my baggage. So lets talk about the nitty-gritty – a lot of careful thought has gone into the design and construction of the Travelscoot. It is well built and I am sure it will be long lasting. It uses a dry-cell battery, the type you have in your laptop, this is one of the reasons why it is so light. I do think there are one or two little things that let it down, for example the instructions to maintain the brakes are almost non existent. The bell has a very feeble ring so replace it with a better one from a bicycle shop. Do remember it is a three wheeler with quite a high centre of gravity so if you take a corner too fast you could come a cropper and when going up a hill you must lean forward. When you first get one it is very easy to have a silly accident. In case you are wondering I did have a couple of silly accidents when I first bought it but I’m a safer driver these days. A set of Allen keys are supplied with the Travelscoot so you can do any necessary adjustments. Take the Travelscoot to a good bicycle shop to replace cables or any do other basic adjustments. I bought a new frame,to find out more follow this link my new Travelscoot. 7 months in and still loving my Travelscoot. Has anyone bought an appropriate rain cover for theirs? I’m going on holiday shortly and know it may rain every now and then. Not intending to drive it in the rain, just want to cover it whilst I’m poolside. Any recommendations greatly received. The crucial thing is not keeping the battery out of the rain but not allowing water to get into the throttle. If it does it means the throttle looses all control and the engine come on full. The only way to control is is with the power off/on button. If you try using the brakes (as I did) you break something in the motor. The solution is simple: wrap some clear plastic cut from a plastic bag to cover the left hand end of the throttle and the lights, securing in with an elastic band around either end. Thanks everyone for all the advice. I managed to get one the right size. Only really needed it once, but glad to have got one for future trips. Just to let you all know, there is a Travelscoot for sale on ebay. It is located in Gloucestershire. Regular size, li-ion battery, drive belt model. Well here we are in Spain, took the advice of others and kept travelscoot complete for the journey by EasyJet from Bristol to Malaga. We booked in at the help desk as usual and were directed to check in no 1 where people with pushchairs, golf clubs etc get their items booked in anda baggage label attatched. Then we went back to the help desk and were directed to security. We took the fast track lane to security (no queues) went through with no problems, waited to be called for our flight at the disabled area and from there taken to the Ambilift still on Travelscoot. The nice man on the Ambilift sat me in a seat while he checked if TS was immobilised by disconnecting the battery power lead and covering the lead connector with insulating tape as he said it gets cold in the hold and condensation might get in the connector (makes sense and when we arrived the battery and aluminium was wet and cold, I have messaged TS and asked if I should remove battery and carry in the cabin,still waiting for a reply) Then on arrival TS was waiting at the aircraft door. I connected the power lead and was away down the wheelchair and electric buggy lane to passport control ahead of the passengers who had left the plane before me. Into the lift and down to meet my friend giving me a ride to Calhonda. A quick fold of TS, staight into his boot and off we went. About 10 minutes from airplane door to car! However the delight in folding her up or down and lifting her from my boot with one hand makes up for all the above. Thanks for the report, very interesting. When flying I always take the battery into the cabin with me. To be honest the Travelscoot instructions do point out that you must lean forward when going up a slop. From that point of view it is a bit like riding a horse. The drive wheel is on the left hand side. It is always easier to turn with the drive wheel on the outside of the turn. So you can make a very sharp right hand turn but turns to the left must be done much more slowly and with greater care, definitely not at full lock. Enjoy Sheila. My Trike has given me six plus years of independence which would not otherwise be avilable to me. Received my new travelscoot last Thursday and now have had a chance to test it out in various conditions. @ for the word ‘at’ in the middle to confuse the spammers! Thank you Patrick for your help in buying Sheila, I did of course mention your name and website. Good luck with Sheila. Mine is called ‘The Trike’, really imaginative, its a tried and trusted friend. I’ve had one now for about 6 years, yes it does have a few scars thanks to the people who took it for a joyride and threw it over a hedge. But hey who wants one looking sparklign new. I look forward to hearing about the trip to Spain. Be careful not to take corners too fast because of adverse camber and buy a decent bicycle bell – pedestrians do not look where they are going. Could you please delete my advert for the Travelscooter. It was quickly sold and I am receiving many inquiries from your website. I removed it from my website over a week ago. I am now unable to view the blog on my website and I cannot find any reference to it through Google. I have tried to find it through Google without success. I suspect the issue lies with the search engines, I have no control over them. If nothing else it showes what a popular mobility scooter it is. I am sorry if this is causing you problems. I have learnt one lesson, do not use phone numbers, only use email addresses. You live and learn. We are going to Europe for a holiday does anyone know if you can rent the travelscoot in London and travel with it? Hi I’m in the Chilterns, too. Hyde Heath. Where are you? I live in Bekhamsted. Are ever over this way? Anyone in north west England willing to let my wife sit on their Travelscoot?? Thanks. Contact Travelscoot (wwww.travelscoot.eu or +49-89-57951906), there might be someone close to you who could help. Sorry I do not know anyone in that neck of the woods. Its very similar to riding a 3 wheeled bicycle. Hi Paul we live in Bolton I have one for sale you can try. One question – those ‘mini cupholders’ above the front wheel – what do I use them for? Really pleased you like the Travelscoot. Its great. If you have to use a walking stick There should be a black stretchy band that goes around the handle bar. Slot stick through that and rest the stick in the egg cup. Do you use a stick? Howdy would you mind letting me know which web host you’re working with? I’ve loaded your blog in 3 completely different web browsers and I must say this blog loads a lot faster then most. Can you recommend a good internet hosting provider at a fair price? Thanks a lot, I appreciate it! Is there anyone out there who still wants a Travelscoot. I have the latest deluxe version ( Liithium-ion battery, etc) which I wish to sell. It cost £1700 some six months ago and has been used three times. Reason for selling no longer required. I am looking for £800 and live in Somerset between Yeovil and Taunton. Buyer would collect. I have just seen your advert for a deluxe travelscoot. Can you tell me if this is still available please? Hi Curtis I have latest version for sale lithium battery. Hallo Baz, I’ve just found this site,are you still looking for a buyer? Is this still for sale please? Has it got the ability to go in reverse and how are the brakes? 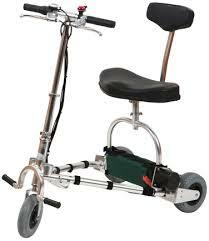 Has anyone got a second hand scoot for sale or does anyone know if you can pay for one in installments? Second hand Travelscoots are very hard to come by but you never know. I have been told of two in the lst few months. They are not sold in the UK. contact the German office but I think it is unlikely. This post gives additional knowledge for everybody. I commend this product http://www.portashopper.com which is very helpful for impaired young and adults to have a greater determination,to grow independently and stronger. Travelscoot Standard for sale. Selling on behalf of a family member. Approx 1 year old. Latest design with hub motor and reverse function. Lead acid sealed battery with charger. Only use a few times. Reason for sale, assembly of Travelscoot proving too difficult to manage due to nature of illness. This Travelscoot is in AS NEW condition and purchased for around £1600.00 when new. Asking price £1350.00. Includes Basket that sits on front. You are welcome to try before you buy. Anyone interested in Travelscoot. I have latest model for sale. I live in Bolton Lancashire. Give me a ring on 07947 024691 and we can arrange for you to come over and try it out. I went to Hertford by public transport last week and it is a bit of a mission – I have to go into Euston then use my Travelscoot to get to Kings Cross and change at Finsbury Park. Something like 1 3/4 hours. You have to buy them from Munich in Germany, there is no UK distributor. I am nothing to do with Travelscoot, just a very enthuiastic user. The website is travelscoot.eu. Here is the phone number 00-49-89-57951906 and the email address is TravelScoot European Union . Phone in the morning, Germans start work at 8 am and Germany is 1 hour ahead of UK time. They might know someone who you can contact for a demo. I live in SW Herts near Hemel Hempstead if you would like to try my scruffy but much loved scooter. I think I should try one out before I commit to buying. I emailed TravelScoot last weekend to ask if there is a user near me who would allow me a go but I haven’t had any reply yet. Do you know of any users near Lymington? Having read a multitude of reviews the Travelscoot looks very interesting. The only reservation I have is whether the foot rests would work for me. I have MS and get spasticity and spasms in my legs. Are there any travelScoot users out there who have similar issues who can comment on how they manage? The only time you use your legs is when getting on or off the Travelscoot. I do have very bed dropfoot in my left leg. When I get onto the Travelscoot I have to stand on my left leg, use the handles bar as support and them move my right leg across. Now I have a leg each side of the steering column and can sit down on the seat and drive off. Have just been reading all these posts about travelScoot. So helpful. But would need to try one. Anybody in Norfolk/Suffolk? I need to be able to load and unload myself, and take it on trips, like visiting family in Australia. Was wondering if there is anybody who has a TravelScoot and lives near Guildford in Surrey. Would love to try one prior to purchasing. I have MS and I’ve just bought a TravelScoot Deluxe with aircraft grade Li-on battery. It’s fantastic! Being a small female, with a small car, I was unable to load heavy scooter parts into my boot. With this one, I remove the seat and the superlight battery, drop the steering column and handlebars and load straight into my Mini. So simple! I used it for the first time yesterday in town and I can’t recommend it highly enough. It took a few days to ship from Germany via UPS. I am exempt from VAT and was able to complete an exemption form which TravelScoot sent via email, scanned it and then send it back to them. I had to telephone Germany to pay with my credit card, but they speak good English. Now my aging father in law wants one too! I tried out Luggie but it was still much too heavy for me to lift, and it’s much more expensive. So, TravelScoot gets my vote! I too have MS and am looking for a lightweight scooter that I could potentially fit into my Mini. My husband has been looking at the TravelScoot as an option but I was concerned about the footrests and wondered how comfortable they can be. Do your feet slip off the footrests when you get tired? I cannot give you Christina’s email, I hope she sees your request. Let me tell it from my point of view. Bad dropfoot and dropleg in my left leg. I only have the simple bars to rest my feet on and it has not inconvenienced me at all. I have to lift my leg onto the bar using my left & right hands. There is a bit of muscle power in the leg but not much. The existing system serves me well. Many thanks for responding. Your comments help and in actual fact I try to wear shoes/boots with a small heel as I find it easier for when I walk a short distance to have my feet lifted up a little. We have been looking for some time for a lightweight scooter and based on the comments on your site I think we are going to go ahead and buy a TravelScoot. Keep up the good work with your website. Oi! I’m was looking at this with my Mum in mind but I am a full-time wheelchair user myself. I found your “It doesn’t brand you disabled” comment very offensive. People who become disabled shouldn’t be saying to themselves, “I’m not disabled because disabled people are not really normal.” They should be saying, “Now I’ve become disabled, i realise what a mistaken impression I’ve always had of disabled people.”. Stop thinking disability is, in some way, shameful! It’s no better than being racist or homophobic – but even more common, unfortunately. I’m sorry that you found the comment “It doesn’t brand you as disabled” very offensive. There is no offense intended. The point I’m making is that the design of the Travelscoot mobility scooter is totally different from that of other mobility scooters. The Travelscoot is fun to ride, extremely practical and totally different from any other mobility scooter. It is an exciting and innovative design. The Travelscoot has given me independence, the chance to go to places that would otherwise be impossible, do things that would otherwise be impossible for me. Best bet is to go to their website http://www.travelscoot.eu. The office is in Munich, you can pay for it by credit card. The cost is in Euros and if you are disabled then the German VAT is exempt. The cost something like £1,200 after excluding VAT. Rather than using email it might be worth giving them a ring. They will supply reference sites. I think it is a wonderful mobility scooter and I have no financial involvement with the company. What is the battery life and weight please? I want to purchase a travelscoot but would like to see and try one first as so expensive. Prepared to travel to try one if anyone willing. Live in Rayleigh Essex so if you are wiling and live a reasonable distance away please contact me. Hi if anyone is interested, I have one of these to sell. Excellent condition hardly used by my late father. £800 Ono. Contact me at John.evans@boc.com. Many thanks. I live in Bushey Herts and i have one of these forsale it’s not even six months old, it’s the deluxe version. unfortunately my uncle passed away unexpectedly and i’m trying to sell it for my Auntie. There is a good reason why these bike baskets are so popular – they hold a vast amount. People comment on the basket as much as they do the Travelscoot, as most mobility scooters come with dinky baskets that appear to have borrowed from the tooth fairy. The Klick-fix bracket means the whole basket is easy to take off and take into the house, rather than one having to unload the contents and carry items in your hands into the kitchen to put away. I recommend the version with the waterproof cover, because if it does rain the basket will fill up with water. Also, you can cover what is in the basket and leave it outside a shop and passers by are not tempted to help themselves to your baked beans. If anyone in London wants to try out a Travelscoot, they are welcome to test-drive mine. I live on a hill in Dartmouth Park, very close to Hampstead Heath, so testers can wander around the Heath celeb-spotting and prove to themselves that it goes up Parliament Hill. If you live near the Chilterns you can have a trial ride on my Travelscoot. When you talk to Travelscoot please mention my name. hi, i am looking for a used Travelscoot Delux with the lithium battery for use on airplane. Do you still have yours for sale as i cannot find any used ones within Europe! Where can I try one of these in Nottingham or derby? Write to Travelscoot. Go to the webpage http://www.travelscoot.eu and then the ‘contact us’ tab. There are the email addresses and phone numbers for the various branches. Hello patrick, lovely review, i am a small man 4′ 4 / 1.25m , I currently live in mexico, but are returning to uk as life here is hard being disabled. I search for the Travelscoot, do you recommend me buying it, i would be traveling in London to and from work, bus, underground or train depends on the route. Can barely walk a mile without getting exhausted. I saw they have TravelScoot Shopper Junior which is smaller. What do you recommend me doing? I can buy it here too or should i buy it there. Anymore feedback would be nice. I suggest you talk to Hardy, phone the Munich office for advice. I think they are very good compared to other mobility scooters. When you talk to Hardy please mention my name. Realistically you cannot take thw Travelscoot on the underground unless there are lifts. There is no way I cold manage mine on the escalators. The London buses are very good and check the railway stations are step-free. 8 – Read the labels. Staying calm and being well rested is a reliable remedy for nausea. The price, and the phone number. I am another one for whom this has been a life-changer. Having been effectively housebound with MS for most of last year I got my life back a week before Christmas, a couple of days after I wrestled the Travelscoot away from two of the children who took it immediately after it was assembled (the other is too cool a teenager to try it). It does not upset the centre of gravity as it is above the battery. These baskets are wildly popular with cyclists for good reason – they are astonishingly capacious and unclip from the bracket at the press of a button (the bracket does not have to be removed from the Travelscoot when taking it apart), meaning you take the basket off rather than have to unpack the contents. Hi, I purchased. A Travelscoot in October 2013 and it is the new version with reverse, better brakes and no drive belt. I have lived with MS for 20 years and now struggle to walk large distances. I have had to stop doing certain things I love ( shopping trips, going for long walks with my family etc). I started looking for a scooter to fill in the gaps. I searched the internet for days looking for anything that was more convenient than a standard mobility scooter as they did not provide me with what I was looking for. Stumbled upon the Travelscoot and immediately knew it was exactly what I was looking for. I rang the company and spoke to the owner . He was very friendly and helpful and provided contact details for several other owners in my area who were happy to be contacted. In the end I discovered that he was exhibiting at REHACARE in Dusseldorf ( largest disability trade fair in Europe). I currently live in Belgium so I went for a day out on the train. Found the Travelscoot and disappeared off fir a test drive round the fair. Loved it so much I made my order on the spot. 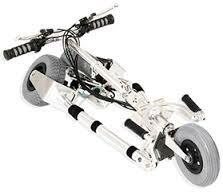 It is very manoeuvrable, turns on a penny and collapses very quickly and easily. I weigh about 55 kilos and seem to get about 15-18 kilometres on a charge. I have taken it on bumpy forest paths without problem, find it goes up slopes without a problem and is a joy to drive round shops. It us light enough that I can lift it into my car easily and it is so convenient. Happy to answers any questions on this new version. Best thing I have bought in years. My world has opened up again. I have just recently become aware of the the TravelScoot having seen some one using it in Lyme Regis. Didn’t think at the time could I have a go. I live in Dorset and would love to have a go at using one before buying. How did you go about purchasing it? Could you tell me the cost? It now has reverse and brakes and no belt drive? Any information you could give me I would really appreciate. Sorry about the delay in the reply. Go to http://www.travelscoot.com. Here are the contact details: TravelScoot USA, 504 Kirkland Road. Chehalis, WA 98532, United States of America. International dialling code 1-800-342-2214. To dial in US 0800-342-2214. I live in south florida please tell me where i can find a dealer that has the travel scoot . my mother has MS and this would be easier than the elect wheelchair she has. I phoned the German office and Hardy gave me a reference site, try him. I got an idea of the Travelscoot when I first saw it at Chichester. I live in Hemel Hempstead and only saw your comments regarding this scooter, which I am seriously considering, would you be prepared to let me see your Travelscoot and see the folding setup. If you are agreeable then please let me know which day and time would be convenient. Dear Barbara, Did you manage to see it? I live in Biggleswade and would also like to see one. I have been looking at these for some time, but am reluctant to order without first trying one. How did you manage to try one out before deciding to buy? Travelscoot cannot be bought in the UK. Go online to http://www.travelscoot.eu. It is shipped from Munich, Germany. All obvious repairs can be done at a bicycle shop and he is always helpful. Asdk Hardy for some references that you might be able to chase up.